Welcome to McConnell's Boxing Academy owned and operated by two-time world champion, Molly "Fearless" McConnell. Winner of the 2017 Willamette Week Best of Portland award. MBA offers a range of classes for all skill and fitness levels. Classes include Cardio Boxing, Adult Skills Training, Combat Conditioning, Morning Body Blast, Private Lessons and Team Training. Check out our class page and drop by for a free trial class! Established in 2012, MBA was created to offer Portland a unique type of boxing experience where learning the skills of boxing isn't intimidating, but a fun rewarding experience. 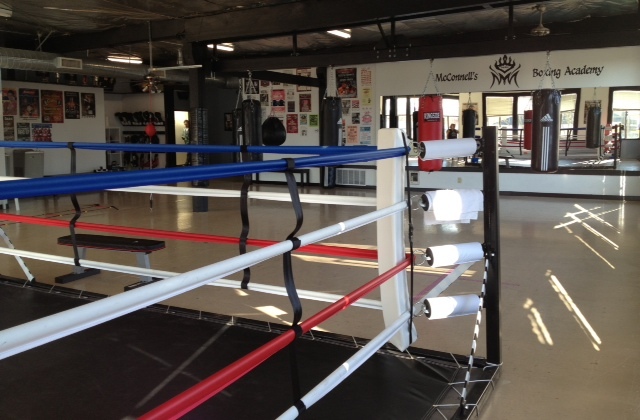 Boxing at MBA is taught in a completely different way than anywhere else you've been. The curriculum is comprehensive, organized and easy to understand. Whether you wish to compete at the amateur or professional level, or you just want to learn the science and technique of the original American martial art, MBA has something to meet everyone's needs. We strive to provide our clients with the best coaches possible. All of our coaches and trainers are experienced, knowledgeable, friendly, and safety conscious. Our staff have world class credentials and are all certified by USA Boxing. What are you waiting for? Let's fight!